Firstly, bear in mind that every XIM user is different, and likewise the alpha group of testers was made up of quite a varied bunch too. Me personally? I'm not into the advanced stuff like curves, but I do like my Titan devices and experimenting with a wild array of non-keyboard configurations. Oh, and I play an obscene amount of Rainbow Six Siege. So if it's info about curves you want, your best bet is to ask another one of the alpha testers. But if your play style aligns with mine, then read on! I wasn't testing with final production hardware, so what I'd like to focus on is the different configuration. Instead of a big hub style design, it's now a little dongle which plugs into an external hub. The really cool thing about it is you can use pretty much any USB hub on the market. My setup has cables going off in various directions so it was good to be able to buy a hub that has ports going in all directions as well. It's also much neater this way - you can tuck your XIM Apex away behind your entertainment cabinet and just have a small USB hub sticking out the front. One of the first things I noticed was just how robust it was with the T2, especially if you have meh quality cables. I think it has to do with lower power draw, maybe better quality USB ports, or maybe it's just better optimised all around. Regardless, in the past I had to regularly restart my XIM4 and Titan Two because they would just stop working from time to time. That problem has simply gone with the XIM Apex. So. Good. It has full wireless control support. As some of you know, Nav is pretty much dead these days, because the batteries barely hold a charge since they're a decade old at this point, and even replacement batteries on eBay barely hold a charge either because they're just as old. Now you can use a wireless PS4 controller in your left hand...an XB1 controller...and yup, a Joy-Con! It works so bloody well. I have been testing it and it's officially my new Nav replacement. I will create another thread with more info about this. Oh you heard that right. No more having to get off the couch! The app has received a nice makeover. One of the small touches I love most is being able to type search the list of Smart Translators instead of scrolling down a long list. Overall I'm really impressed. It's a nice upgrade from XIM4 and I think you'll all like what you see over the coming weeks / months. Re: My XIM Apex impressions! I play also a lot rainbow six siege. Can u explain the difference of xim4 and apex specifically for the game? What was ur first feeling? And do you use specific macros for rainbow six? Do you know a EU site or an shop which send the Titan two World wide? For the Titan 2 on ps4 I don't need the Titan Two Expansion Kit and the cable kit or? I mean is can also connect all over USB or? The micro SD is a nice to have or necessary? Thanks for the description Piiwii!! Like you Rainbow Six Siege is probably the only game I use the Xim4 for. When I first bought my Xim4 I have never used a mouse for aiming. This was about 2 years ago. I had to get used to it so played COD and Battlefield to become accustomed to what you can do with a mouse. COD probably has the best look mechanics and the Xim4 feels amazing. As you know Rainbow six siege has quite bad look mechanics and even till this day the standard ST without curves/boosts etc doesn't hit the mark. It feels slightly laggy and not smooth. After searching the forum I found a workaround where instead of using 10 for the right stick deadzone I would use 21 (I settled on 21 for now as it feels good to me) whilst also increasing the boost well into 6000. I had to downgrade the Xim4 firmware though, I forget which one. Now the aiming feels very smooth and I aim much better although it isn't a 1:1 ratio. With the Xim Apex I am hoping that I don't have to tweak anything and can play it well right off the bat. Can you confirm that you don't have to tweak the settings? remove the battery and have it wired in a arm rest mount and another usb keypad for kill streaks and macros etc. Sorry to say but as good as Apex is, if the fundamental look mechanic of a game is still bad then it can't work miracles:( You'll need to apply the same tweaks as you do on XIM4. It's not the Apex's fault. Siege - feels the same really, not factoring in the benefits of 1ms polling. The game's look mechanic is unchanged so that's really the driving factor. As for scripts / macros, see my sig. I bought T2 off the official website. Connection kit - recommended unless you have good quality cables. With so many devices plugged in and daisy chaining off each other, a poor quality cable amongst it all will cause you lots of headache. Bluetooth kit - not needed unless you have a specific use for it. 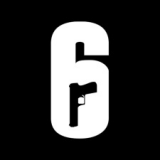 Do factor in the 1ms, does this make a noticeable difference with r6s? No idea I only tried this once very briefly but refocused my testing on areas like compatibility with scripts and controllers (XB1, Joycons etc). Seeing as I’m the only beta tester that really plays Siege I will make this my next priority and will let you guys know. In the xim3 days we removed the battery and used it wired. Which requires that or it wont work with it. wired nav use? then how will folk pair it?. Cant see that being true can somebody clarify ?. While the nav may hav its faults its not dead its more comfy then the joycon and there are plenty still left in the world and if it gets a duff battery use it wired. But they are cheap enough to buy 3 and have 1 on charge and another back up one too. No I'm not talking about the XIM Apex, I'm referring to the XIM4. I was never able to get my battery-less Nav's working with the XIM4, but maybe I had just broken them. I have never tested Nav with the XIM Apex because I don't have any left that I can use (had 16 at one point I think!). So did you use the nav wirelessly with the xim4? the initial pairing requires you connect it to the xim4 wired. There is data sent over usb otherwise it would not work with xim3 , xim edge and the crappy venom x. If xim4 only supported nav use over wireless that's news to me dude. Yeah I used Nav wirelessly for about 2-3 years. As for working wired without the battery I don’t know what to say, I could never get that working. Just an FYI about the Sony Nav, sometimes they will not take a charge, the red light on the front will stop blinking. You can simply plug it into a PS4, PS4 PRO, using a charging cable and it will magically start working, and the light will start blinking. I was getting ready to throw out a Sony Nav controller because it just wasn't working anymore. I did a few google searches, and found that the above information is actually true. Not sure if that was the problem with yours, but I would try plugging it back into it's mother ship if you ever have an issue with one.